This week, a charity was lambasted for using robots to shoo homeless people, and self-driving car companies complained about China’s anti-foreign regulation. Also, Microsoft announced a $50 million investment in ‘AI for Earth’— the company’s programme for fostering AI companies that pursue sustainability. The tech giant has doled out grants to 35 companies across ten countries since the project’s launch in summer 2017. Recipients of the grant— chosen among startups using AI to improve agriculture, water supply, biodiversity, and climate change— are given access to Microsoft’s platform Azure and other AI tools in order to carry out their projects. Environment-focused AI companies can already apply. China is making it harder for foreign companies to test driverless vehicles on the country’s roads, as authorities fear that self-driving cars could be used for espionage. Non-Chinese companies complained about restrictions on high-resolution cameras and GPS, while Chinese companies are not facing such curbs. Animal charity SPCA deployed bulky security robots to keep homeless people away from its property in San Francisco. SPCA hired a Knighscope robot to patrol the sidewalk outside its dog shelter, in hopes of shooing homeless people who set up tents there. The charity stopped using the robots following social media backlash. Pace, a London-based startups applying machine learning to hospitality, secured £2.5 million in a Seed round led by InterGlobe. The company uses artificial intelligence technology to automate the pricing of hotel rooms depending on occupancy, demand, and price sensitivity. 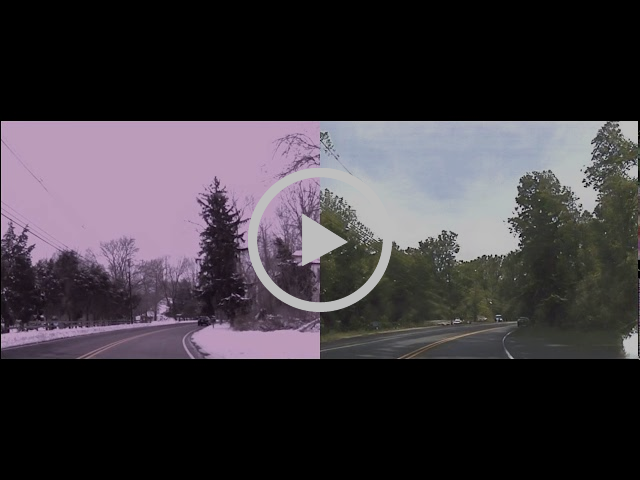 Researchers at Nvidia have developed a method harnessing AI to simulate what a sunny landscape or street would look like in case of bad weather, snow, or sudden darkness. That is useful for self-driving cars cruising perennially sunny roads of California, but it could also have different applications. (The technical details here).